Natural Health News — Supplements containing epigallocatechin-3-gallate (EGCG) – the polyphenol abundant in green tea – could aid weight management by increasing your metabolic rates, according to a new meta-analysis. Japanese scientists looked at quality data from eight randomised control trials looking at the effect EGCG had on metabolism and the breakdown of fat. The trials provided data from a total of 268 people, and the dosages used ranging from 300 to 800 milligrams (mg) per day, over periods ranging from two days to 12 weeks. 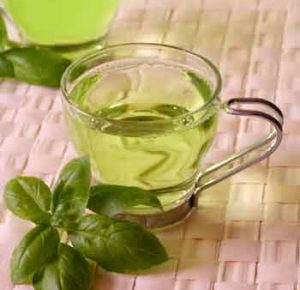 » Green tea is rich in a particular antioxidant polyphenol called epigallocatechin-3-gallate (EGCG). » Japanese scientists looking at several studies into the effect EGCG supplements have on metabolism have found that even at a relatively low dose of 300mg per day it can have a beneficial effect. » The study adds to some previous work suggesting that green tea and its constituents can improve metabolism and help aid weight loss. The review supports an ever-growing body of science supporting the potential benefits of green tea (Camellia sinensis) and its constituents, most notably EGCG. The four primary polyphenols found in fresh tea leaves are EGCG, epigallocatechin (EGC), epicatechin gallate (ECG), and epicatechin (EC). Green tea contains between 30% and 40% of water-extractable polyphenols, while black tea (green tea that has been oxidized by fermentation) contains between 3% and 10%. Oolong tea is semi-fermented tea and is somewhere between green and black tea. The researchers suggested that, as a supplement, EGCG on its own could be beneficial, even at a relatively low dose of 300mg per day. But in 2016 another study found that it worked effectively in combination with resveratrol, a polyphenol, which is found in foods such as red grapes, raspberries, dark chocolate and some red wines, to effectively burn fat. Other evidence has shown that overweight people taking a high-quality green tea extract showed improvements in blood pressure, blood sugar levels, and even markers of inflammation. A healthy cup?Getting a consistent level of EGCG from tea rather than supplements can be difficult. As with any natural plant substance levels of beneficial substances can vary from package to package and form season to season. However, we do have some information to guide us as to what is in a cup of green tea. A 2013 report published by the US Department of Agriculture (USDA) analysed data on EGCG content for 506 foods, among them various types of green tea. Results showed that 100ml of tea brewed from loose green tea leaves contained on average 148mg of EGCG. 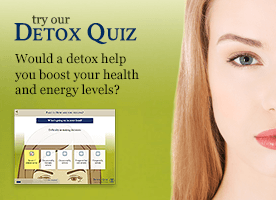 In contrast brewed decaffeinated green tea contained around 26mg, brewed flavoured green teas contained around 20 mg and ready to drink tea drinks (which are one of the most popular ‘health’ products) contained less than 1mg. So if you want to get the most health benefits from your green tea ( as opposed to a supplement), it seems obvious you should be brewing a ‘proper’ pot or cup. For more on this topic see our article Hot tea or cold tea – which is healthiest?